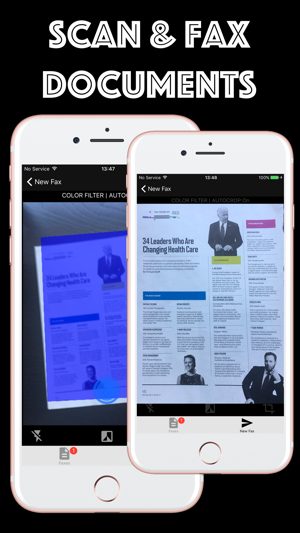 Zap Scanner & Fax app scan documents and send your faxes from iPhone or iPad on the go. 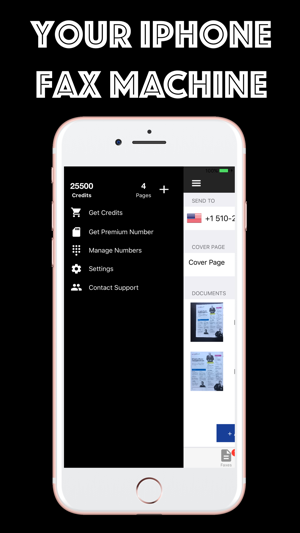 With Zap Scanner & Fax on your Phone, you can scan and produce PDF documents on the go and send fax to over 80+ international countries from your iPhone & iPad. 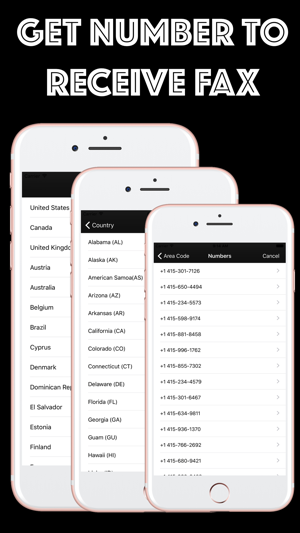 You can also choose from 20+ international fax numbers to receive fax as well. No need to walk to a fax office and pay a huge price just to fax a few sheets of document. No need to buy a fax machine and get a landline to fax. 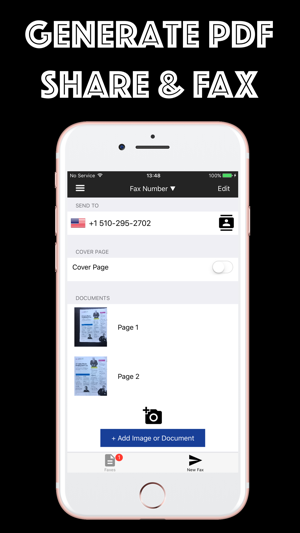 Fax Phone app is your go to app for scanning and faxing documents whenever you need and where ever you need at a low costs. 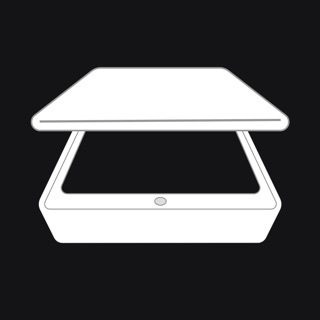 Finally, you can free yourself from your fax and scanner machine. 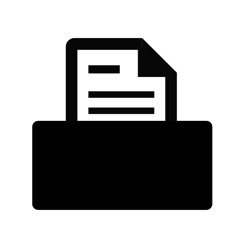 + Store and share your scan PDF and fax documents. + Change your receiving fax number as often as you like. + Customize your own fax number. Fax Zap app offers a subscription plan for your premium numbers. - Your account will auto renew once a month or yearly depending on the package you choose and provide you access to premium phone numbers and recording services. 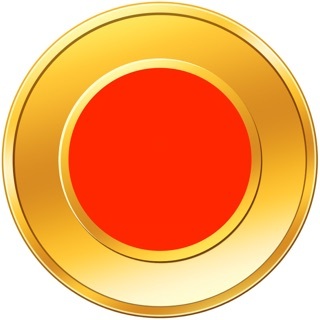 - Unused portion of free trial will be forfeited when user cancels subscription. Really easy app but just wish it was less than 9.99 because I’ll probably use it twice a year😕 You should also have an option to just fax under five pages should be X amount of money..Just saying people like me, Who don’t have a lot of money but needs to fax something every once in a great while, should be a little bit more cost-effective. Other than that hopefully everything goes through and I will not have any problems. This is so quick and easy it’s unbelievable. 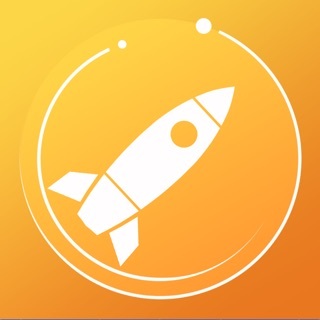 I wish I had found this app a long time ago to make my life easier. All the money and time spent running to staples to fax things is history. It saves everything you fax and you can even create PDF’s if you want to save it in case you need it again. It sends you a message in seconds confirming your fax when through okay. It’s literally the best app I have. I don’t use to make business with faxes but sometimes it is necessary to send or receive some docs (medicals offices requesting medical profiles never accept receive’em by email and they never send profiles by email, too. Only by fax. It is an excel tool,very easy to manage docs since you can scan or pick and send a photo. All in your smartphone. That’s is great ! Five stars, at least!